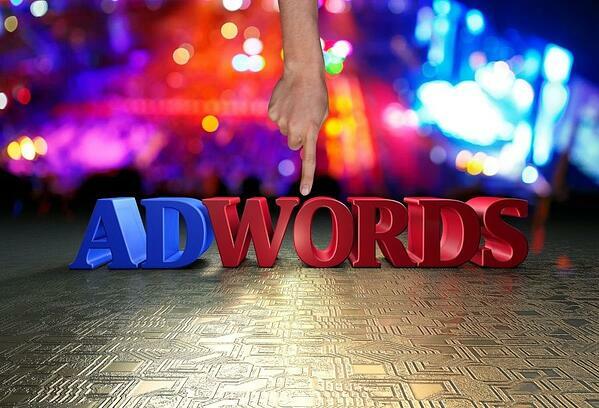 What Makes Google Advertising so Essential For Your Marketing Mix? You might have heard RiseFuel or another expert mention it: Google should be an essential part of your digital marketing mix. But when you hear that claim, a little part of you might wonder: just why is that the case? If you're like me, you don't spend your marketing money blindly. Instead, you need to make sure that the channels you use will actually bring positive return on investment to your business. That matters, whether we're talking about search engine advertising or content marketing. So yes, Google advertising is essential to build your business and grow your customer base. But understanding the why behind that fact is almost as important as the fact itself. You'll hear experts everywhere recommend adding search engine ads to your marketing mix. After reading this article, I promise you this: you won't just do that, but also leverage them in a way that reaches far beyond your SEM strategy. In fact, if you do it right, you might just improve your entire digital marketing strategy. Search engine ads, which are text-based and appear at or near the top of searches related to targeted keywords. Display ads, which appear on Google's Display network - a web that the search engine claims reaches two million websites, or 90% of all global internet users. YouTube ads, either in the form of pre-roll videos or text-based ads that overlay videos your audience is watching at any given time. For the purposes of this post, I will focus on the first of these three categories. That doesn't mean the others don't matter; in fact, they deserve their own article similar to this. Still, SEM (short for search engine marketing) most closely focuses on the ads that are actually connected to the search engine, in this case Google. Which brings us to the reasons Google advertising is so essential for your marketing mix. More than 1.2 trillion searches per year. 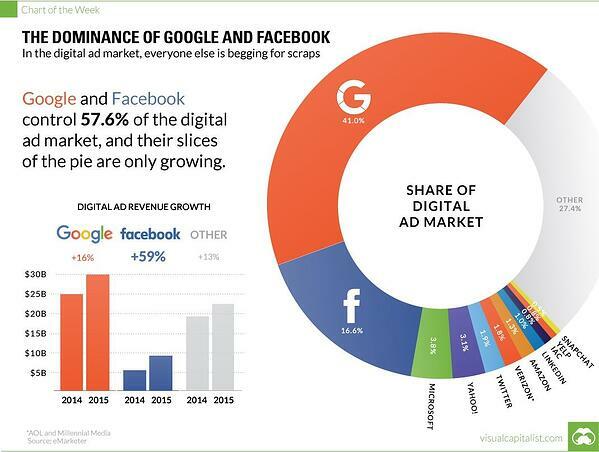 78% global market share among search engines. Add it all up, and chances are the majority of traffic from your website comes from a Google search. Even if you examine your own internet habits, that makes perfect sense. When you look for something, a brand or the answer to a question, you ask Google about it first. There is something to be said for a website that has become so ubiquitous, its name has become one of the most common verbs in the English language. So yes, Google is everywhere. Here's why that matters for your advertising strategy. Wouldn't you like to be the answer to the pressing question of your audience? When they're on the go, how would you like to be the first results that pops into their phone? If 93% percent of all internet experiences start with a search engine, and Google owns more than three quarters of that market, don't you want to be represented in it? Ultimately, that's it. My argument could stop here, and I could rest my case for Google becoming a part of your marketing mix. That the article is only beginning should tell you everything you need to know about the importance of the world's most popular website in your marketing strategy. You might wonder how search engine optimization (the organic or unpaid strategy to rank your website for relevant keywords) has made its way into an article about paid efforts to accomplish the same goal. The answer lies in the shortcomings of the former. Make no mistake: SEO is and should be a core part of your digital strategy. But it also takes time. In some cases, more than a year. And, given that your efforts won't start paying off until you land on the first page of a relevant search, the time before that can be a struggle. That's where paid Google Advertising enters the equation. Where results in organic efforts take time, their paid alternatives are (almost) instantaneous. If you want to get clicks for a specific keyword related to a relevant and recent blog post, you can build an advertising strategy specifically designed to drive clicks to that post before it becomes outdated. Save your long-term keywords for SEO, and supplement them with quick hitters related to more timely content. And, at the risk of sounding like a used car salesman, that's not all. As it turns out, you don't have to choose between paid and unpaid efforts to build your search engine presence. While you're at it, why not combine both? a 20 percent increase in quarterly profits. Other studies have found the same. As it turns out, building a comprehensive Google strategy that incorporates both paid and unpaid efforts will significantly improve the results of both aspects. You effectively multiply your brand presence on relevant search engine results pages, increasing the chances of clicks, conversions, and customers. The lower ad spend due to the organic presence of your brand is a mere bonus at that point. Testing is absolute key for any modern digital marketing. If you simply build your strategy without a feedback loop, you risk wasting your budget on audiences and ads that are completely irrelevant and don't actually drive business. So far, so obvious. 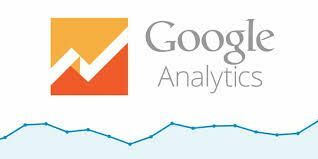 But what you might not know is that, if employed the right way, Google advertising can actually help you better test your strategy and make adjustments that improve the ways in which you spend your marketing money. Of course, A/B testing is a natural fit for this medium. Slightly switch up your message, link, or keyword target, and watch your results change. Run multiple iterations over time, and learn important information about the types of messages that your audience relates to, and the types of audiences that will respond to your messages. But the testing opportunities don't end there. Consider, for instance, the ability to test keywords with paid ads before building an entire organic strategy around them. As mentioned above, SEO takes time and effort. Wouldn't you want to go into that process already having a good idea about which keywords and messages will resonate with your audience? I know I would. SEM can help you get there through small campaigns and evaluations based on clicks and conversions. Done right, this type of testing doesn't just improve your search engine marketing and optimization. It could affect your entire digital strategy. You might, for example, find a particularly effective message, phrase, or keyword that resonates with your audience. Now, you can build a lead magnet and other promotions around that new message pillar, based on past audience reactions. When I first start working with businesses who are new to SEM, I tend to ask them a simple question: have you Googled your brand name recently? You might be surprised what you find. Most importantly, some of the results (and especially some of the ads at the top of the page) may not be about your business at all. They might even be from a competitor. And that's where Google Advertising becomes crucial. Simply by bidding keywords related to your own brand, you can make sure that when your audience looks for you, they actually find you and not your competition. The debate about branded vs. non-branded keywords has ranged on for years. I tend to land on the side of both. You should not only focus on your own brand. At the same time, doing so in conjunction with a larger strategy can be invaluable. Without spending major budget, you can make sure that your brand is always the first result. You also protect yourself from other businesses, who might specifically bid on your brand name to gain an edge in a competitive environment. It's a low-risk opportunity to protect and bring home potentially interested prospects. Search engine optimization is always changing. If you don't believe that simple statement, you only have to look back at the way it looked only ten years ago. Remember that fateful I'm Feeling Lucky button? I assure you that this is relevant for your search advertising strategy today, for a simple reason: changing behaviors. The search engine only changes as its user preferences adjust. And today, more than ever before, they're moving away from the keyword. The age of voice search is here. ComScore predicts that by 2020, half of all Google searches will come via voice, and almost one third will occur with no screen at all. Consider the implications: if I don't have a screen or keyboard in front of me as I seek information, the first result (rather than the first page) will matter even more than it already does. Let's start with the obvious connection. Imagine the situations in which your audience will use voice search. Most likely, that's not in front of a stationary desktop, but on the go on a mobile device (by the way, that tracks with a general move to mobile on Google). When you're on the go, of course, you will need to rely on the first result more than ever before. And more likely than not, that first result will be sponsored. Imagine the benefits of appearing right there, in front of your audience, for the world to see. That is the value of Google ads, placed strategically. Good marketing is based on knowing where your audience is. If you can create ads in a different format that is ultimately improving people's lives, making the shopping experience easier, or finding your content much more engaging, that will be a winner according to Gómez. Zoopla suggests that the tone of voice of the ad used will be integral. It will also be important to test if consumers will interpret ads in voice search as intrusive. There needs to be a balance between ad revenue, consumer value and context. We're almost there. By building your Google advertising strategy, you can prepare yourself for the future of searches away from the keyboard. Even in isolation, all of the above are important reasons to add Google search ads to your marketing mix. Combine them, and you have a powerful argument for PPC marketing as the central aspect of your digital marketing strategy. To get there, of course, the word strategy is key. Simply placing some ads for keywords you think your audience will search for is not enough. You need comprehensive keyword research, thoughtful messaging development, and careful monitoring to test and make adjustments over time. None of it is easy, but all of it can bring immense benefits for your business. You might find it complex. But, whether you are only adding Google to your marketing mix or want to improve your existing strategy, working with a partner can make it easier. Over the years, RiseFuel has built its expertise in exactly this topic, helping businesses like yours add to and enhance their marketing mix through SEM. Contact us to start talking about a potential partnership.